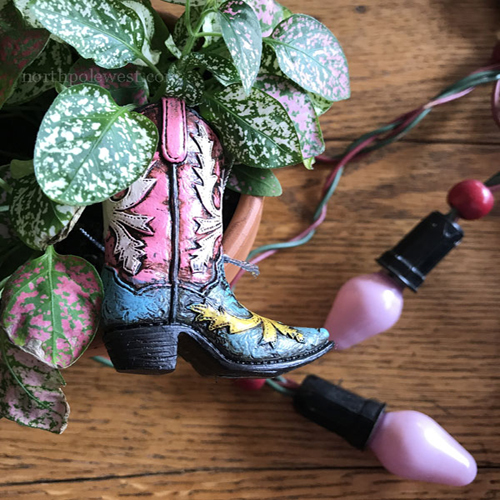 Cowboy Boot Ornament - "Pink Sunrise"
Pretty boot ornament rich in detail with delightful desert sunrise colors and finished to give the appearance of a well worn favorite boot. 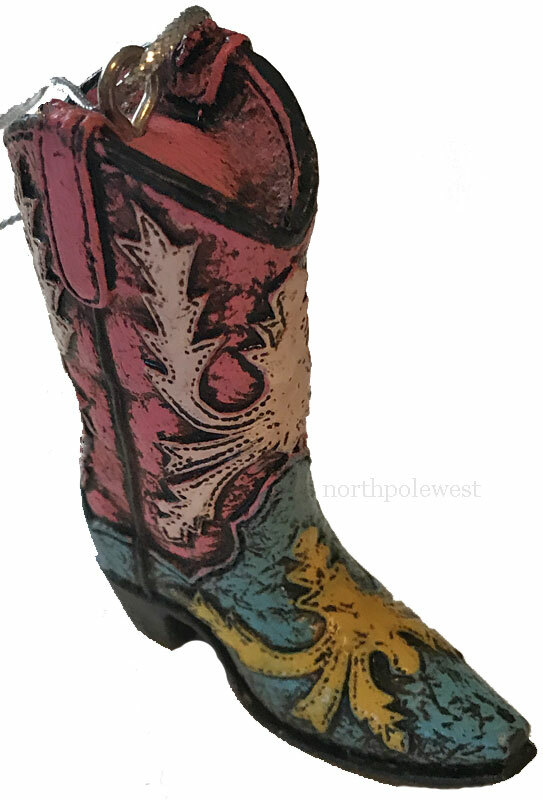 Pretty boot ornament rich in detail with delightful desert sunrise colors and finished to give the appearance of a well worn favorite boot. 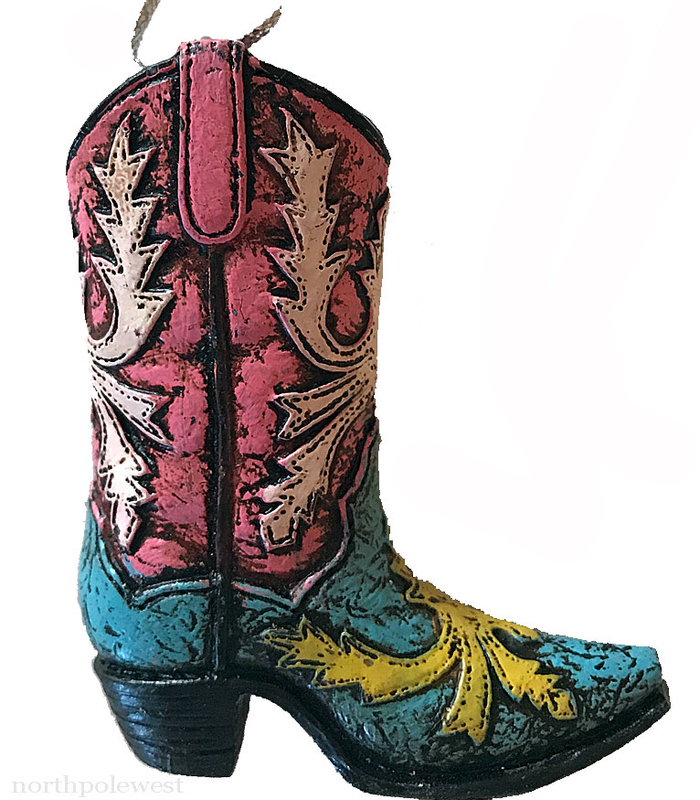 This is a fun ornament for the cowboy/cowgirl Christmas tree or boot tree. Nice for wedding showers cake decor too. This has a flat bottom and can stand on it's own.